Ralph Breaks the Internet is the second installment of the Wreck-It Ralph film series starting in 2012 with the film Wreck-It Ralph. The movie is focused on the serious attempts of Ralph to become a hero. Ralph takes his determination to become a hero by helping his friend as a mission and sets out to help little Venellope von Schweetz in locating the driving wheel of Internet game, Sugar Rush. Venellope loves this game but she’s lost its wheel and is looking for someone to help her in locating the missing part of the game. 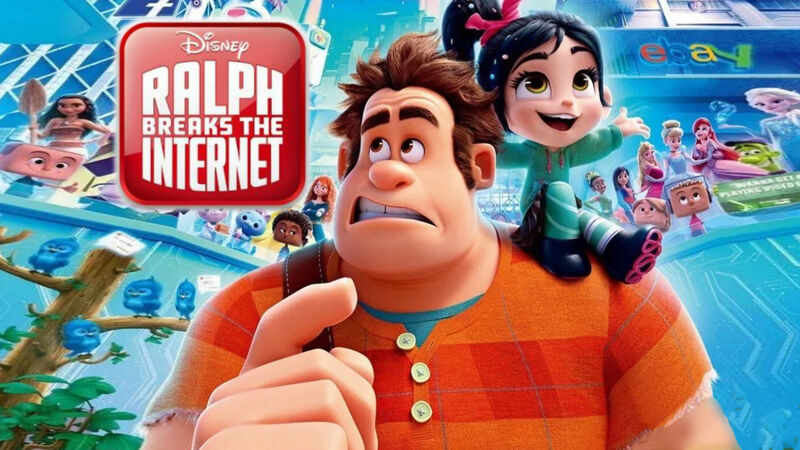 Both Ralph and Venellope plunge into the unknown world of the World Wide Web hoping to find the missing part that they find on auction on an eBay website. The part is available at a price they can’t pay. Ralph orders the part for his friend but little does he know that she’s developed a crush for another game, Slaughter Race. As things begin to become desperate, Ralph approaches a business tycoon Yesss for help. The poster reflects the World Wide Web in such a manner that it looks very interesting. Ralph is shown at the helm of the web and others are clubbed together. The sequel is different from the 2012 prequel Wreck-It Ralph. Here Ralph is established as a hero. His mission is accomplished. Inside Out- Charming and creative movie with a heart!